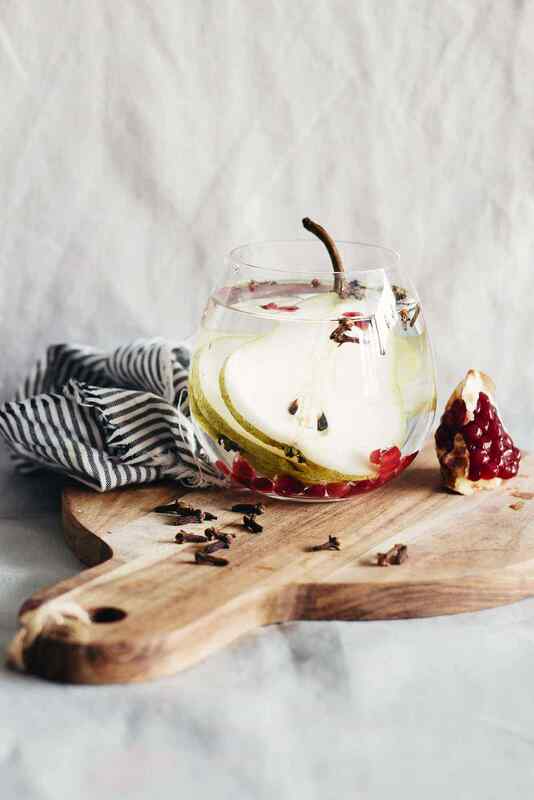 Pears are an excellent ingredient to add to your fruit infused detox water because they contain a unique combination of nutrients offering anti-inflammatory, antioxidant, and anti-cancer benefits. Flavonoids improve insulin sensitivity and help lower the risk of type-2 diabetes. 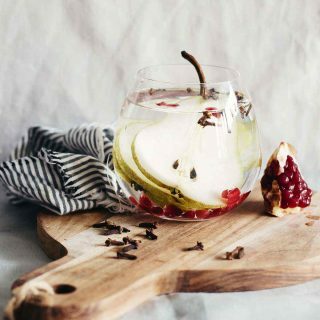 The unique warm and sweet flavor of cloves goes well with the pears, sending thoughts of dessert to your brain and rewarding yourself with a delicious treat. Cloves are packed with minerals, especially manganese, magnesium, and calcium, all playing a part in our natural detox functions. Add pomegranate seeds for an additional antioxidant kick and a lovely dash of pink.